Home > Blog > Free Shipping Day at PoolDawg Dec 14th Only! Free Shipping Day at PoolDawg Dec 14th Only! 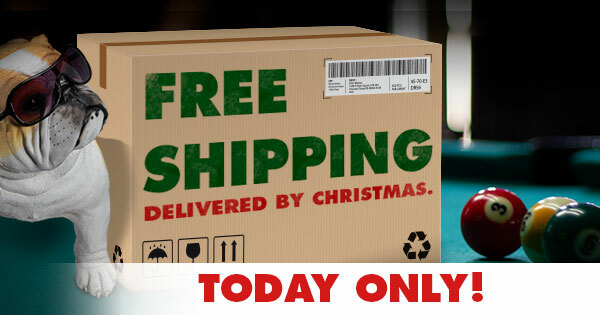 Today only at PoolDawg.com you can get free shipping with NO MINIMIMUM purchase for deliveries in the United States. That's right.... any purchase, large or small, qualifies for free shipping when you enter the code FREESHIP18 at checkout. Get those Stocking Stuffers without having to throw money away on shipping charges and they will be to you in time for Christmas! If you need help picking out the perfect gift, check out our Holiday Shopping Guide or give us a call at 866-843-3294!